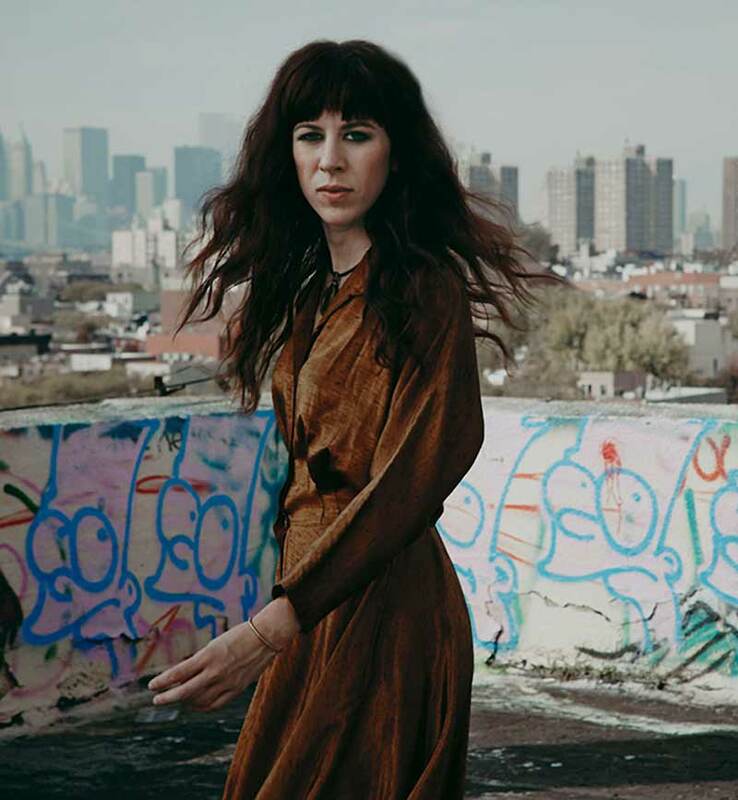 As an established composer on the contemporary music scene, Missy Mazzoli’s talent draws audiences equally into concert halls, opera houses and rock clubs. Her unique music reflects a trend among composers of her generation who combine styles, writing music for the omnivorous audiences of the 21st century. She inhabits an exquisite and mysterious sound-world that melds indie-rock sensibilities with formal training from Louis Andriessen, David Lang, Aaron Jay Kernis, Richard Ayres, John Harbison and others. Practically speaking, she amasses music in layers not normally found together but in ways that create matchless vertical harmonies. Recently deemed “one of the more consistently inventive, surprising composers now working in New York” by The New York Times, and “Brooklyn’s post-millennial Mozart” by Time Out New York, Missy Mazzoli’s music has been performed all over the world by the BBC Symphony, Kronos Quartet, JACK Quartet, eighth blackbird, LA Opera, Roomful of Teeth, Crash Ensemble, Britten Sinfonia, Detroit Symphony, Los Angeles Philharmonic, Minnesota Orchestra, Alabama Symphony, Phoenix Symphony, Albany Symphony, American Composers Orchestra, Sydney Symphony, Opera Philadelphia, LA Opera, New York City Opera, and many others. Soloists who have performed her music include pianists Emanuel Ax, Shai Wosner, Michael Mizrahi and Kathleen Supové, cellist Maya Beiser, and violinist Jennifer Koh. Her music has been featured at numerous festivals including the BBC Proms, Bang-on-a-Can New Music Marathon and Ecstatic Music Festival (New York), the Cabrillo Festival (Santa Cruz), and the Gaudeamus New Music Festival (Amsterdam). She has served as Composer-in-Residence with Opera Philadelphia in collaboration with Gotham Chamber Opera and Music-Theatre Group, been in residence with the Boulder Philharmonic, and was a Composer-Educator Partner for the Albany Symphony. Her opera with librettist Royce Vavrek, Breaking the Waves, based on Lars von Trier’s 1996 film was commissioned by Opera Philadelphia with Beth Morrison Productions and premiered in September 2016. Breaking the Waves was awarded the inaugural Award for Best New Opera by the Music Critics Association of North America and hailed as “among the best twenty-first-century American operas yet produced.” by Opera News and “savage, heartbreaking and thoroughly original” by the Wall Street Journal. Mazzoli and Vavrek next collaborated on the chamber opera Proving Up based on Karen Russell’s story of the same name. Premiered in January 2018 with Washington National Opera’s American Opera Initiative, Proving Up was commissioned by Washington National Opera, Opera Omaha, and Miller Theater at Columbia University. Additional performances took place in as a centerpiece of Opera Omaha’s ONE Festival (April 2018) and this opera will be the opening event for Miller Theater’s 30th Anniversary Season in September 2018. Since its premiere in 2012 her critically-acclaimed multimedia chamber opera, Song from the Uproar: The Lives and Deaths of Isabelle Eberhardt, has received numerous performances including those by LA Opera, Cincinnati Opera, Chautauqua Opera, Milwaukee Opera Theater, and Chicago Fringe Opera. The European premiere is at Musitheatertage Wien in June 2018.